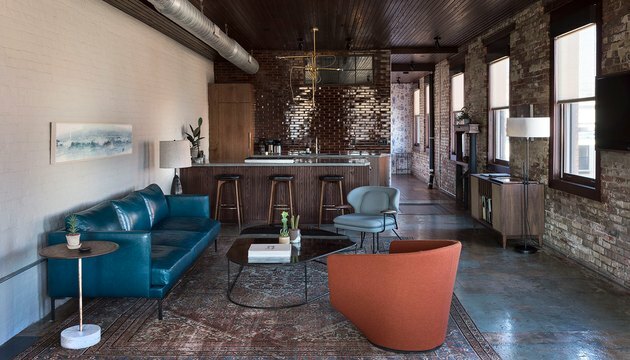 A former 19th-century whiskey factory in Philadelphia's Fishtown neighborhood is now a cool place to spend the night. "We wanted it to feel somewhat residential, almost like it's someone's apartment," co-owner Randy Cook said about Wm. Mulherin's Sons, a dual-concept property that features a four-room hotel and an Italian restaurant. 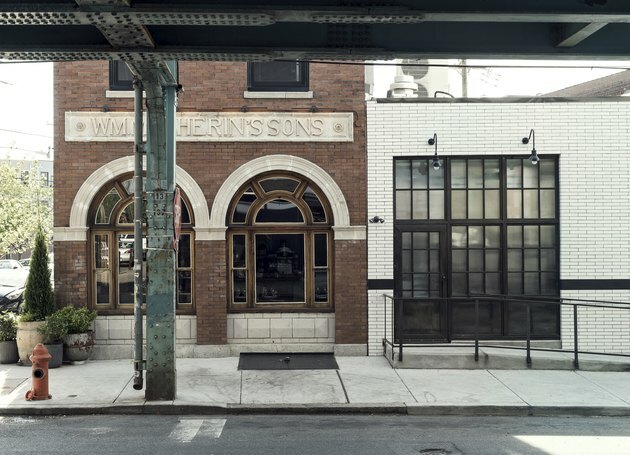 When Cook and the two other owners came across the site, they saw it as a way to draw attention to the storied history of the building and its locale. It still had many original details that they wanted to preserve — including arched windows that date to the 1920s and aged brick on the exterior — they just needed to be intertwined with more modern features. The founders turned to artist Stacey Rozich to meet these classic touches with a more contemporary eye, and she created a whimsical hand-painted mural in the restaurant as well as toile wallpaper in the rooms. 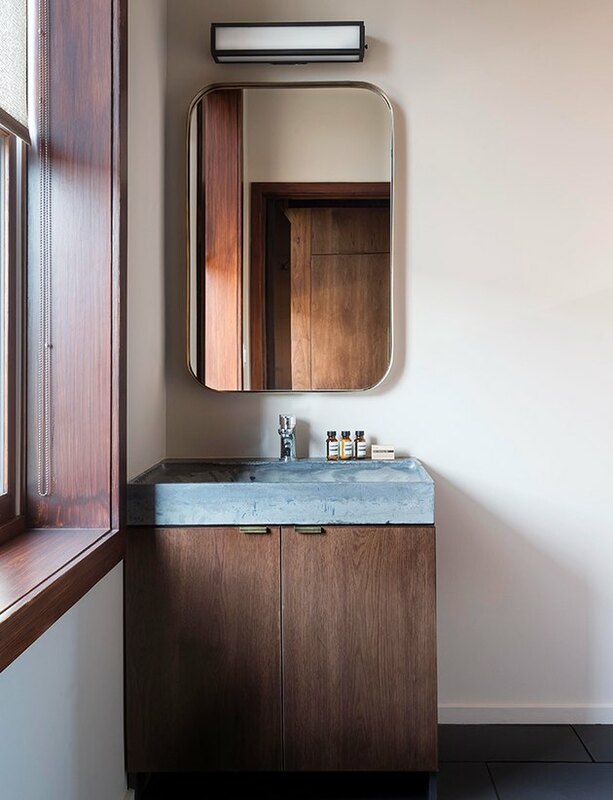 Custom furnishings were created by Tim Lewis Studio, which complement other natural wood touches meant to evoke a simple, almost Nordic state of mind. Now guests can step comfortably into the past, whether it's to dine or sleep. Behind this unassuming brick exterior is the ground-floor Italian restaurant, which opened last year. The upstairs hotel opened in the spring — and guests can check in with the restaurant staff. 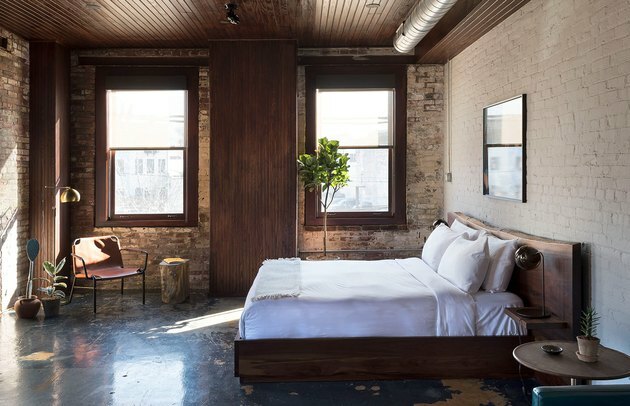 Each of the guest rooms feature accents that speak to the building's industrial roots. In this room, a bed with a walnut headboard complements the abundance of wood on the walls and ceiling. In this guest room, brass detailing is the main feature. A light fixture by Jason Miller, sourced through Roll & Hill, "adds a different vibe to the place so it doesn't feel contrived," Cook said. 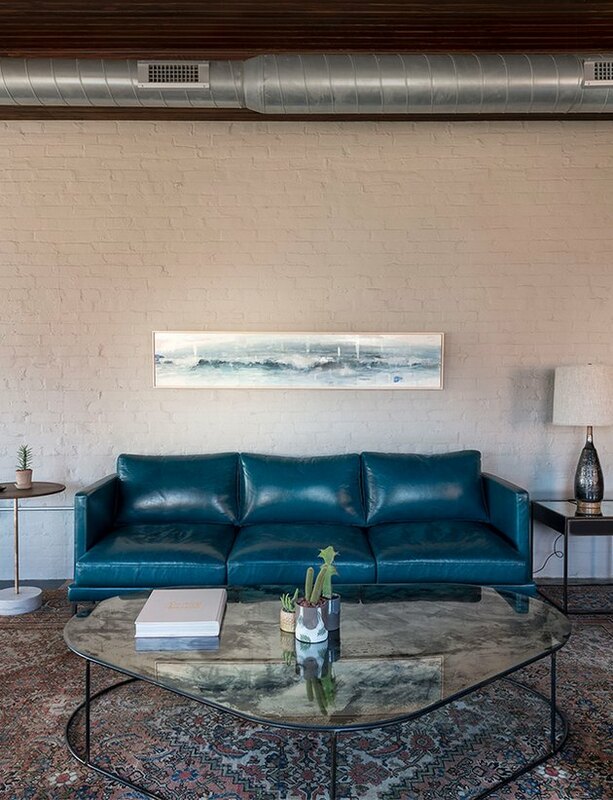 This guest room features a living area with a striking blue leather couch. Minimalist bathrooms feature clawfoot tubs — another design detail carried over from the 19th century — and cement details. Cement detailing, like on this sink, offers up a modern touch, while the wood cabinets are in keeping with traditional accents.